Gemstones have fascinated humanity for thousands of years, mostly due to to their unique reflection of light and lVely nature. More reasons why they have long been sought after are their hardness, durability, and rareness, which has increased their value far above that of regular stones. Due to their longevity and natural beauty they have drawn our eyes and inspired us. It was often thought in times before cVilisation that gemstones had magic or supernatural powers. Over 3000 different minerals occur in nature, of which only fifty are used as gemstones. Sometimes other gemstones are also cut, but these are usually only for personal collectors, as they are too fragile for wearing and mounting.Some of the most sought after gemstones are Diamonds, Sapphires, Rubies, Pearls and Emeralds.On top of rarity and color, another sought property of a gemstone is durability and resistance to scratching. It has to be strong so that it can be worn for tens or even hundreds of years. Scientifically gemstones are fascinating. Gemstone experts are called gemologists. They are able to judge and compare the individual characteristics of a certain kind of stone to another of the same kind. Gemstones have always been sought after by more than people who wanted to study its properties. Gemstones have represented influence and power throughout the millennia. Symbols of higher status, from crowns to sceptres. People of all kinds have set their eyes on the beauty of many different gemstones. Gemstones are most often minerals that are processed to show off their beauty. They are usually mounted on precious metals, such as silver, gold and platinum.Gemstones of high quality made from organic substances also exist, which were produced by organisms millions of years ago. They usually come from shells, corals or fossilised trees. Vory is also considered a gemstone. However, in general organic gemstones are too brittle to be used as jewelry, even if extremely rare.Very few gemstones such as pearls originate from plants or animals, and are considered organic gemstones. Magma based gemstones come to life through the hardening of molten lava which originated from the deeper layers of the earth's crust. In general there is a rule that the slower the lava cools off, the larger the crystals are.Sedimentary gemstones are formed through the slow accumulation of layer after layer through sometimes thousands of years.Organic gemstones come from plants or animals. Natural pearls are formed to remove foreign particles which have reached the inside of the animal's shell. The most common method of shaping gemstones is changing the surfaces into flat surfaces called facets. This is what gVes different gems their shape. The original shape of the found stone is the largest factor that affects the shape. Sometimes the gems are not with perfect proportions because of the importance of keeping the stone as large as possible. Slight variances in proportion are made. All gems found in nature have a crude and unfinished shape. A very influential factor to the stone shapes is the original shape of the crude stone. It is always attempted to cut away as little of the gemstone as possible. This causes the shape of the cut gemstone to look be relatVely close to the shape of the crude stone. For example, a gemstone with a rectangular shape will usually end up as an emerald when faceted. The main reason for applying facets to gemstones is to bring out their beauty and inner reflection. To bring out as much of its inner reflection and beauty is direction every gemstone & diamond cutter aims for. Deciding the proportions to best bring out the beauty of the fine gems is in the hands of an expert, who analyses the measurements and takes a systematic, mathematical approach for it. After deciding the best shape and proportions for the diamond (often using 3D computer software) the first actual processing of the gemstone is removal of the outer brittle parts. The expert tries to organize the cut in such a manner that the impurities inside the stone are also excluded from the final shape, however this is not always possible without greatly devaluing the stones.In general, and especially in the case of diamonds, gemstones of all kinds are much more valuable & sought-after after being cut. Agate is usually found as lumpy masses in rocks like volcanic lava. These mineral gemstones occur in a wide variety of colors and patterns. A typical characteristic of Agate is the variety of layers which separates Agate from other chalcedony stones. The color of the layers is determined by the impurities in it. Agate occurs in a number of very specific patterns. 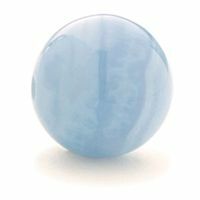 It is usually polished into the shape of thin discs, usually for pendants. Alexandrite is a mineral gemstone with colors ranging fom green to yellow and yellow to brown. It is a very hard, durable stone which makes it a very good choice for usage in jewelry. 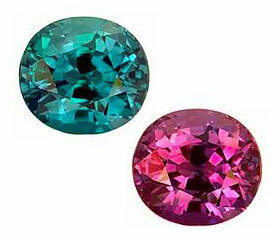 Alexandrite sparkle after being cut, but their reflection does not come in many colors. Alexandrite may switch color under the conditions if the light in which it is seen. The same stone may appear green in daylight, or even red ֠while appearing mauve or brown in artificial light. The most favored color for an Alexandrite stone is light brown, giving it a characteristical honey color. The most beautiful of all Alexandrite stones are found in Siberia, although these have mostly already been mined. The largest cut Alexandrite stone weighs 66 carats. These gemstones are also found in Sri Lanka, Burma, Brazil, Zimbabwe, Tanzania, Madagascar and China. Crystaline Quartz found in one of the following shades is called Amethyst: mauve, purple and violet. It was worn in ancient times with the belief that it would deter drunkenness and aim the person wearing it towards making the right decisions. Amethyst is a gemstone that often seems to have different colors depending on the angle it is looked at from. Amethysts have natural inclusions that look like zebra stripes, fingerprints or feathers. Amethyst is a stone that is sometimes heated until the right temperature is reached in order to convert it to Citrine which has a yellow color. 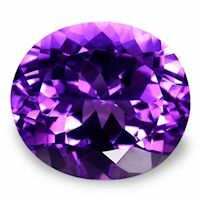 Gems occurring naturally that have both characteristics of an amethyst and a Citrine gem are called Ametrines. Amethyst are found in Alluvial deposits all over the world including Namibia, Zambia and Madagascar. Axanite is a Crystal with glass-like appearance which naturally appear with sharp ridges and wing-shaped edges. Although beautiful and found in a large variety of colors, they are rarely used in jewelry due to their brittle nature. It is usually found in orange, blue and purple. Axanite is found in New Jersey, Mexico, Cornwall (England), France and the rVerbeds of Sri Lanka. Benitoite is a blue crystal which were only discovered in 1906 by a mineral collector, which originally thought they are Sapphires. In general, the shape of these crystals are close to a squished triangle. There is often a large color difference in the same individual crystal. Benitoite are usually found in blue colors and are frequently used in jewelry, although some are transparent, which is rarely used in jewelry. The only place on earth these crystals are found is in San Benito County in California, after which it is named.. In the 19th century sea-green was the favorite color of Aquamarine, after which it is named, which means Դhe color of the oceanԮ In modern times there is a tendency towards preferring the blue and dark blue colors. Aquamarine is circular diachronic, which means it appears to have different colors when seen from different angles, ranging from blue to almost colorless.Aquamarine worthy of gemstone quality is usually found in hexagonal shape. It is a crystal and usually cut into a long shape.The sole location for jewelry grade Aquamarine is found in Brazil, although other places in which Aquamarine are found are: Russia, Afghanistan, Pakistan, India and Nigeria. A dark blue variety occurs in Madagascar.It is very frequent for Aquamarine to undergo heat treatment, which intensifies the color. This must be done with utmost care, as the stones can lose their color if they overheat. Cassiterite is a crystal which is the most important ore from which tin is produced. 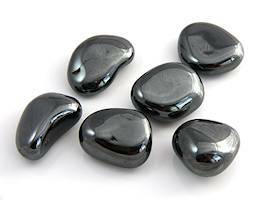 It is usually found in mines as black-transparant rocks, which are usually of no use for jewelry. However, occasionally transparant ones with an orange-honey color are found and used in jewelry. The ones used for jewelry also often contain a similar much sought after reflection as found in diamonds.They high-grade Cassiterites are rarely mistaken for diamonds. But someone with moderate knowledge can easily differentiate them by the lack of consistency in color when seen from different angles, and the higher hardness than diamonds.Cassiterites occur in Pegmatites and sometimes get washed out of them through floods. They are found in Malaysia, England, Germany, Australia, BolVia, Mexico and Namibia.The name Cassiterite comes from the Greek word "kassiteros", which means tin. 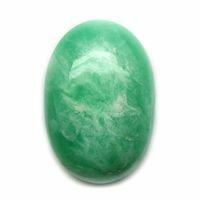 Chrysoprase has a long history. Both the Romans and the Greeks have often used it as a gemstone for jewelry. The crystal has a dark green color and is slightly transparant. The lack of nickel makes these crystals transparant when a lot of light shines on them, and it is sometimes mistaken for Jade for that reason.Some of the places where Chrysoprase of jewelry quality is found are Poland and the Czech Republic, although the most expensVe and sought-after ones are found in Queensland (Australia). Other places in which Chrysoprase are found are Siberia, California, Brazil and Austria. Danburite is a crystal which is usually found colorless, but are sometimes found in pink or yellow. The colorless version is often mistaken for a colorless Topaz, but they are distinguishable from one another by the type of split (incomplete in the Danburite, complete in Topaz) and in the density (Danburite has a lower density).It was first found in the city of Danbury (United States). Crystals of gemstone quality are from Burma, Mexico, Switzerland, Italy and Japan. Diopside is a crystal which is sometimes found colorless, but usually occur in the color bottle-green, brown, regular green, or light green. When Diopside contain more iron and/or less magnesium it turns darker, sometimes even almost completely black. 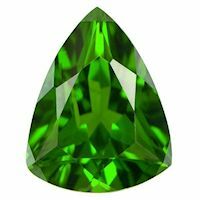 Very bright green Diopside, which is colored by Chrome, is recognizable as Chromediopside. Violet blue Crystals are found in Italy and the United States.Chrome Diopside of fine jewelry quality is found in Burma, Siberia, Pakistan and South Africa.Other places in which Diopside is found are Austria, Brazil, Madagascar, Canada and Sri Lanka.Dark green and black Diopside originates from India. 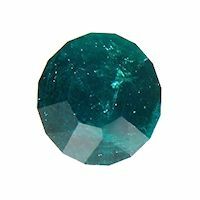 Dioptase is a crystal with what many describe a beautiful, vVid emerald-green color with a very small tint of blue. Dioptase is slightly transparant. It is a favorite among collectors. Unfortunately it is rarely used in jewelry, as it is it very brittle and tends to break apart when cut. Rarely a shape is found which can be cut into a gem for a jewel. Another factor in its low usage in jewelry is the fact that it breaks easily, and is thus not durable for wear. Emerald is a Crystal which gets it beautiful green color from the presence of Chrome and Vanadium. Emeralds are rarely free of impurities and for that reason the stones are often treated with oils to intensify the color and remove the sharpness of the edges and ridges.To keep loss of material as small as possible, a special device is used to cut the Emeralds.Although stones with less impurities are used in fine jewelry, less transparant ones are used in a variety of larger jewels, such as beads. Emeralds are found in Granite and Pegmatites. The most sought after Emeralds are found in Columbia. 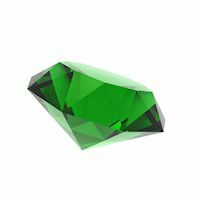 Other places in which Emeralds are found are Austria, India, Australia, Brazil, South Africa, Egypt, United States, Norway, Pakistan and Zimbabwe.Most emeralds found in historic jewels originate from Egypt. Today's fine jewels are made with Emeralds of higher quality than the ones in history. Those from history are of low quality compared to the ones today. 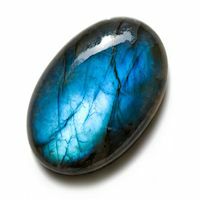 Labradorite appears orange, yellow, colorless or red, with the ability to sometimes show some other colors, though occasionally colorless. The main use of Labradorites are in jewelry. It occurs in the Magmatic soils in Labrador (Canada), Finland, Norway and Russia. Scientific term Oligoclase. Named for its resemblance to the sun. It has the nature of lightly reflecting red, orange and yellow, which gVe the stone a metallic shine. 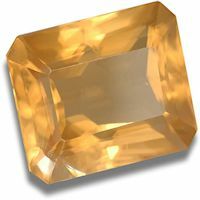 Sunstones are found in the Magmatic rocks of Norway, USA, India, Russia and Canada. Pyrope - Pyrope can thank its deep red color to the Iron and Chromium it contains. There are rarely any inclusions found, but if they are present will appear as square crystals and inconsistent in shape.It is found in Volcanic rocks and in many cases is a good indication the area contains a substantial amount of diamonds. Some of the places it is found in are: Arizona, South Africa, Argentina, Australia, Brazil, Burma, Scotland, Switzerland and Tanzania. 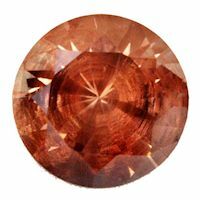 Spessartine - Spessartines of gemstone quality are a very rare occurrence, only a tiny portion of these gems are considered worthy of being put on jewelry. 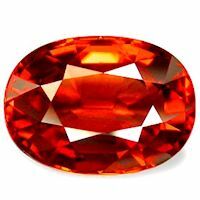 In its pure form it appears as bright orange, but as iron content increases the stone turns darker and starts having an Amber-like appearance.Spessartines are found in Granite and Pegmatites in the areas of Sri Lanka, Madagascar, Brazil, Sweden, Australia, Burma and the US, but in small amounts also in Germany and Italy, however the ones found in Germany and Italy are too small to be faceted. Almandine -Almandine is usually darker than red and may even appear black colored. However, some red ones have been found. 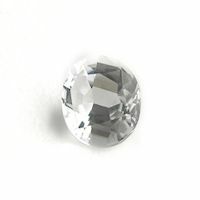 It is usually opaque or slightly translucent, but some rare transparent stones have a strong shine. Although it has a high density, Almandine stones tend to have a lot of reflection. A lot of the stones contain inclusions which are very typical of Almandines and brought out through the round brilliant shape.Pieces of Almandine are often used in the creation of windows in churches and temples. A common belief from the middle ages was that these stones calm the heart and cure depression.Almandine is usually found in Metamorphic rocks, like granite and pegmatites, it has worldwide distribution. Uvarovite - Another version of the Granite minerals the Uvarovite has Chrome to thank for its bright green color. Uvarovites are usually very brittle and vulnerable.Uvarovites are found in Siberia, Finland, Turkey and Italy. GrossularGreen Grossular comes in two varieties: one is a variety of transparent crystals, the other is massVe. MassVe green Grosulars are found in South Africa and resembles Jade a lot. It is very frequent to find Grossular gems contain many black inclusions. 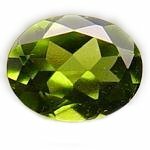 Since the 1960ӳ Kenya is home to almost all of the transparent green Grossular gems, which are unlike the non-transparant South African version is very popular in the jewelry trade.Some places in which Grossular gems are found are Canada, Sri Lanka, Pakistan, Russia, Tanzania, South Africa and USA. Andradite -Garnet stones which contain Titanium and Manganese are categorized as Andradites. 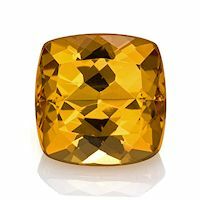 Colors vary from bright green to yellow, and may be transparent, translucent, or almost completely non-transparant.The highest valued Andradites are found in Siberia, in which it is usually found in areas high in gold. Other notable places in which Andradites are found are North Italy, Zaire, Kenya, Switzerland, Italy, France and Germany. Hambergite is named after the Swedish mineral researcher Axel Hamberg. The stone may appear colorless, white or even pink, although very rarely in gemstone quality. It often contains fractures and for that reason cannot be cut, instead if is mostly used by collectors. However a cut specimen selected for use on a gem may be very beautiful.It is not found in many places, so the only two places in which it is mined are Madagascar and Kashmir. Hematite's usual appearance is massVe and opaque with a metallic shine, which intriguingly shows a bright red color when cut into thin slices. It is often used in mirrors. The appearance can also range to black crystals with ionized surfaces which gVe off multiple colorations from green to purple and black. It is also used in powder-form as a paint additVe or polishing material.Hematites are found in North America, Brazil, Venezuela and England. Two kinds of Jade exist. For centuries both varieties of Jade were considered the same, Jadeite and Nephrite. Nephrite is more commonly found than Jadeite. Jadeite can occur in many colors, including green, white, pink, brown, red, blue, black orange and yellow. The most appreciated variety is called "Imperial Jade" and has a very lVely green color which is caused by Chrome.The surface of Jadeite shows a slightly wavy surface after being polished. The Spanish Conquistadors took control of the Jadeite trade after entering Middle America. 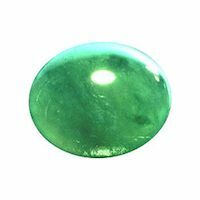 They often wore amulets made of the material and called it "Piedra de Hijuda".The most important source of Jadeite is Burma, which supplied China its lust for Jade for centuries.Nephrite has been considered as a different kind of Jade by the scientific community since 1863. Nephrite is stronger than steel and is one of the reasons it has been so favored throughout history. Colors you may find Nephrite in are dark green, beige and even cream colored due to the high amounts of iron in them.Nephrite has been used by the Chinese for over 2000 years, however it originates from Middle Asia, Siberia, New Zealand, Australia, USA, Canada, Mexico, Brazil, Taiwan, Zimbabwe, Italy, Poland, Germany and Switzerland. 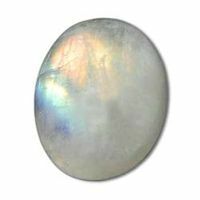 Opal is a gemstone that is made of naturally hardened Silica Gel which occurs in many different colors. It usually consists of about 5-10% water. This makes it a non-crystalline solid, or also called a type of amorphous solid. The water content may dry up in time, which makes this gem susceptible to cracking. There are two varieties of Opal, that shows a color differentiation depending on the angle from which it is looked at (used for gemstones) and regular one-color Opal.The difference in appearance of jewelry-grade opal and regular Opal is caused by tiny particles consisting of Silicon Dioxide which scatter the light in such a very typical manner. Larger pieces of Silicon Dioxide cause an increased color gamma. 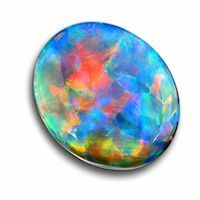 Opal occurs in in sedimentary stone or magmatic deposits. Some places in which it is found are the Czech Republic, Australia, United States and South Africa. Rubies are red gemstones of good use in fine jewelry. Depending on their levels of Chromium and Iron, their shade of red can vary from an almost pinkish red hue to purple of brownish yellow. 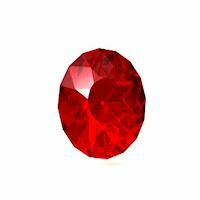 The most sought out ruby color is a lVely blood red. Rubies are the second strongest gemstones after diamonds. Although every gemstone can break, Ruby's strength is one of the main reasons it is of such popular use in jewelry.As rubies naturally develop in nature new layers are added on the outside, which may sometimes not be of the same color as the core. In some cases, colors can even vary greatly. Rubies are found in magmatic and metamorphic rock deposits. The most praised Rubies and most internationally praised for their vibrant color come from Burma, although varieties of lesser quality are found in most continents. Corundum of gemstone quality that is not of red color is called a Sapphire. The most associated color with Sapphires is blue. Different traces of iron and titanium are the reason for the variances in color. 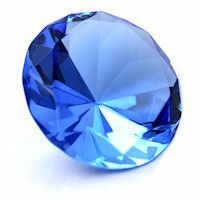 The most valuable sapphire is the one with a dark blue color with the highest possible clarity (the least possible inclusions). 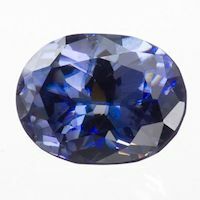 Sapphires have some tendency to look different under real light and artificial light.Jewelry-grade sapphires are found in Burma, Sri Lanka and India. The highest praised variety comes from Kashmir and is found in Pegmatites in alluvial deposits. Sapphires from Thailand, Australia and Nigeria are dark blue and sometimes even black. Other significant places in which Sapphires are mined are Cambodia, Brazil, Kenya, Malawi and Columbia. 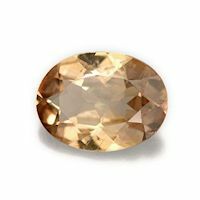 Topaz can occur in a variety of colors: the darkbrown-yellow Topaz (often called sherry color) and pink Topaz are the most valuable. Blue and green varieties are also favored. 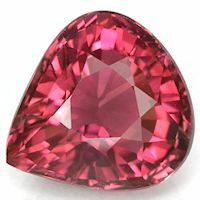 Naturally pink Topaz gemstones are very rare. Some varieties are indistinguishable from Aquamarine in the eyes of even many experts. Naturally occurring inclusions in Topaz are usually drop shaped gaps which are actually gas deposits which remained during formation of the gem. Other inclusions may be tiny cracks or feather shaped gaps.Topaz occurs naturally in magmatic rocks such as Pegmatites. They are also found in alluvial deposits. Places in which Topaz naturally occurs are: United States, Sri Lanka, Burma, Australia, Tasmania, Mexico, Japan and Africa. Pink varieties of Topaz occur naturally in Brazil, Pakistan and Russia. 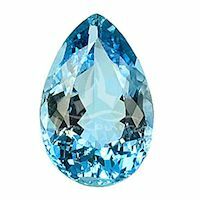 Interesting fact: a diamond carried by the Portuguese royalty in the 17th century was considered the largest in the world (1640 carats) but was later found out to be a Topaz. The name is thought to come from the word tapasin Sanskrit which means "fire". Turquoise is a crystal which is one of the first gemstones to be mined. 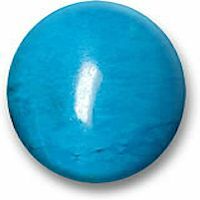 They have long been appreciated due to their color, which dependent on the amount of iron and copper in them may differ from sky-blue to green. Some forms of Turquoise have veins in them, resembling the soil structure of rVerbeds. It is opaque to semi-transparant,light and very vulnerable. Sometimes non-jewel grade Turquoise is porous, which makes brings it at risk of cracking and bursting. This problem can be prevented by filling the gaps with special materials.Sky-blue Turquoise originates from Iran and as a general rule is the most sought after and expensVe.In Tibet, however, the preference is for green varieties. Mines in Mexico and the United States contain green Turquoise.Other places in which Turquoise is found are Russia, Chile, Australia and England. Tourmaline comes in two varieties.Darkblue Tourmaline has a color which may vary from dark blue to blue-green. It is found in Siberia. A clearer lighter colored version is found in Paraiba, Brazil, Unite States and Madagascar. A black variety also exists, which is due to its higher iron content. Tourmaline is found in Pegmatytes. During Victorian times it was often worn as a sign of mourning, although nowadays that association is no longer. Also known as Idocrase is a mineral which was first found on the Italian volcano Versuvius as small almost perfectly shaped oval shaped crystals. It can be red, yellow, green, brown or even purple. It is rarely used for jewelry but often finds its ways in the hands of collectors.Nowadays Vesuvianite is found in California (green variety), a blue variety is found in Norway, yellow and green varieties are found in New York, green and white ones are found in the former Soviet Union. Other places in which they are found are Austria, Canada, Italy and Switserland.